best-in-class pedestrian detection, scene text detection, and other object detection. Showcased their automotive solution at the Demo Day of Fall 2015 season of Orange Fab Asia in Tokyo. 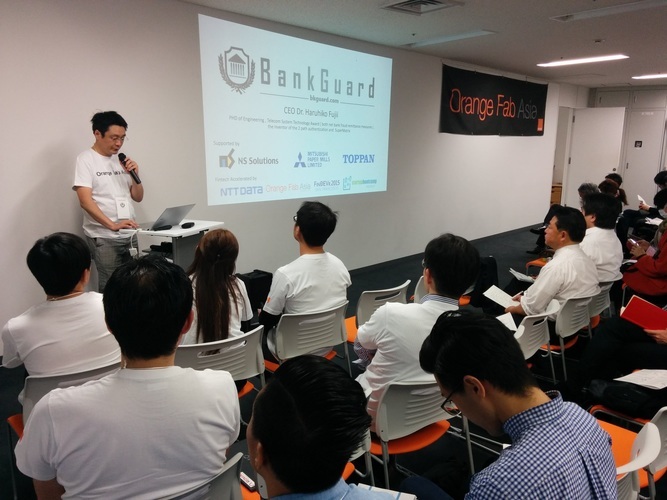 The Demo Day of Fall 2015 season of Orange Fab Asia in Tokyo was held at Orange Japan’s office in Tokyo. Orange Fab Asia aims to help Asian startups from the region to go global. The program is held in Tokyo, Seoul, and Taipei and managed by Orange Japan, an innovation center of French telecom operator, Orange. In addition to 16 startups participating in the Fall 2015 season in Japan, Korea, and Taiwan, 5 startups selected by Center for Creative Economy & Innovation in Korea, with whom Orange Fab Asia partners, and 8 startups from France participating in French Tech Tour which is run by Business France, French government’s organization to promote technology and industry, joined in the demo day. They pitched and showcased at booths to guests from Japanese and global corporations, VCs, and others.